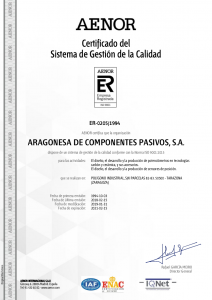 ACP is certified under ISO 9001:20015 and IATF 16949:2016 by AENOR, the Spanish Association for Standardization and Certification. 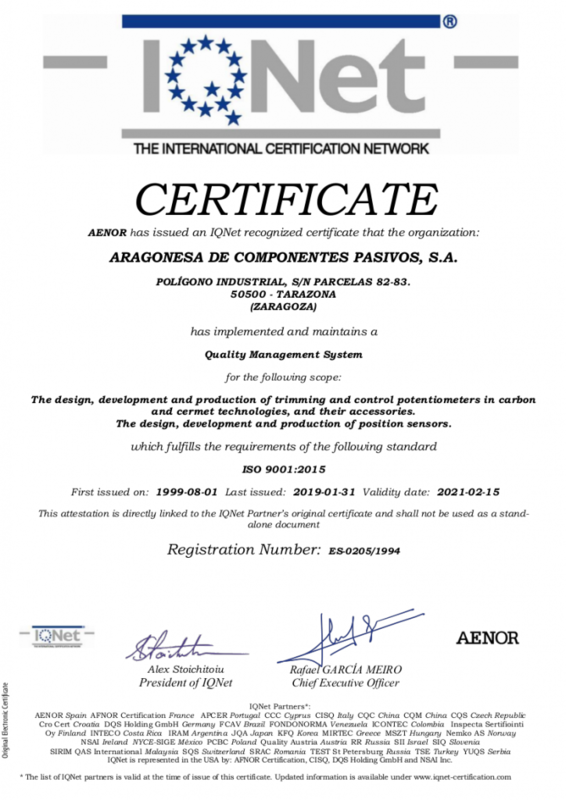 AENOR is a member of IQNet (The International Certification Network). 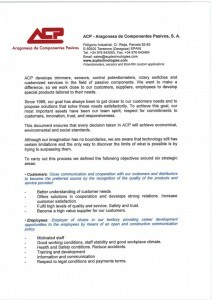 From the start, ACP has dedicated very strong efforts to quality. 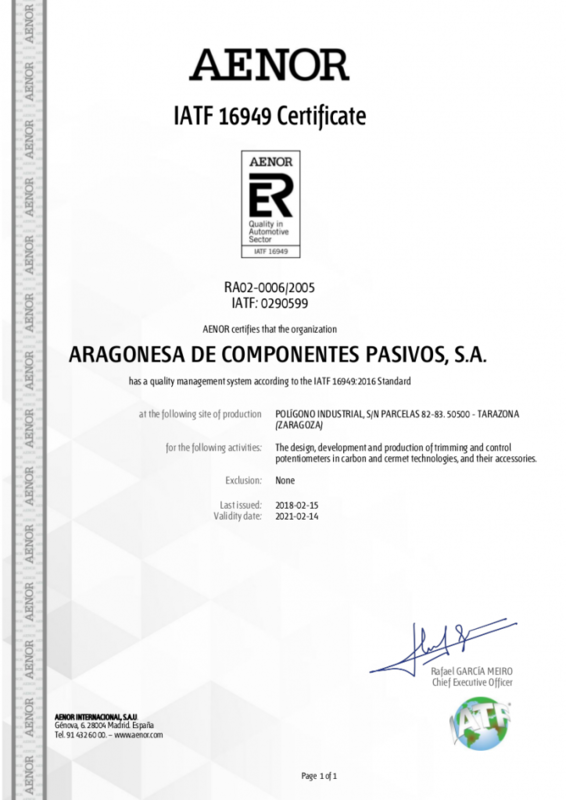 As a result of these efforts, the company obtained the certification under ISO 9002 in 1994. Since then, we have been working on the quality assurance of all our products and services, as well as on the improvement of our management processes. 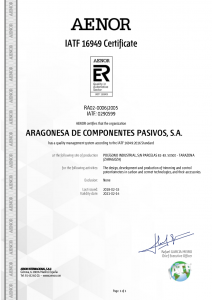 Within the framework of "continuous improvement", ACP obtained the certification under ISO 9001:2000 in 2001. 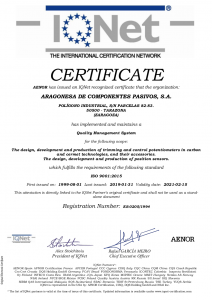 Next was the achievement of the ISO-TS 16949:2002 certification in March 2005, after successfully completing the certification audit. 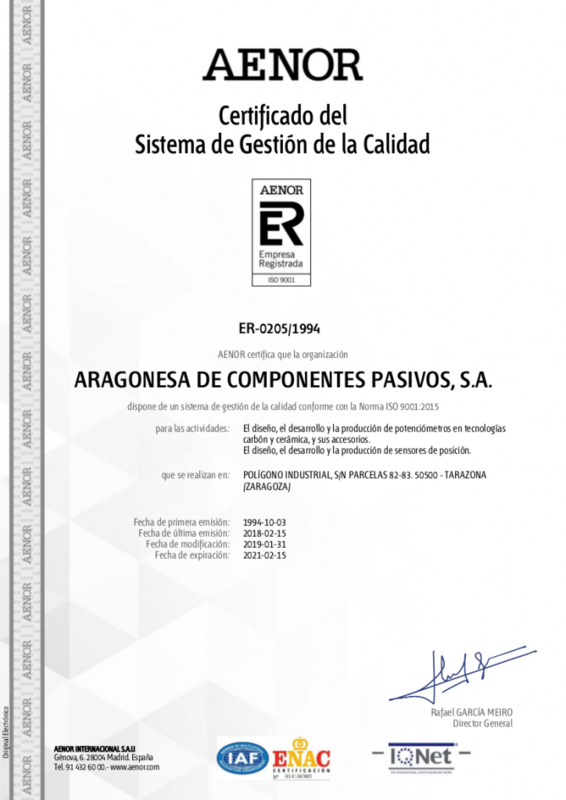 And now, we are certificated under the last quality standards versions, ISO 9001:2015 and IATF 16949:2016, since February 2018. 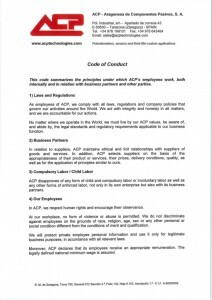 Our Quality Management System in ACP is based and updated on a totally documented methodology of Development and Management by Processes, risks and changes, which allows us to establish goals, developments and the life cycle of any action. This methodology constitutes a very agile and efficient tool to assure the quality of our results. It also adapts to each project by means of individualized Quality Plans. Outstanding results have been obtained on audits performed by Major OEMs according to the VDA6.3 German Automotive Standard. This norm is considered one of the most effective to evaluate, measure and improve production processes.